↑ Winger, Jennifer (2000). 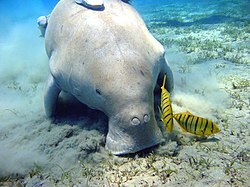 "What's in a Name: Manatees and Dugongs". National Zoological Park. Archived from the original on 2007-10-13. Retrieved 22 July 2007.